It was a truly hospitable Waiʻanae welcome for the Hōkūleʻa at Pōkaʻi Bay. More than 1,000 people gathered at Poka'i Bay in Wai'anae to welcome Hokule'a. Here's Waiʻanae native and crew member Sam Kapoi. “It’s awesome to see community get like this, get together like this because you hardly see this nowadays,” says Kapoi. Hōkūleʻa’s three-year worldwide trip brought a renewed sense of accomplishment to the voyaging community. It also created an opportunity for master navigators like Nainoa Thompson to pass the reins of leadership onto the next generation. 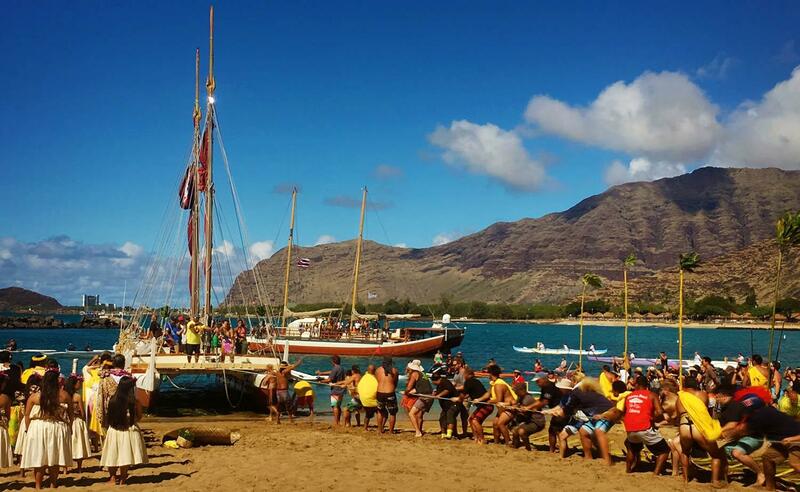 Hokule'a landed at Poka'i Bay on it's last stop on the Mahalo, Hawai'i Voyage across the island chain. “If we failed at getting young people opportunity and access to the voyaging canoes, not just to sail it, but to lead it. If we fail at that then we failed at everything,” says Thompson. For Waiʻanae, that responsibility fell on the shoulders of 33-year-old Kaina Nakanealoha. 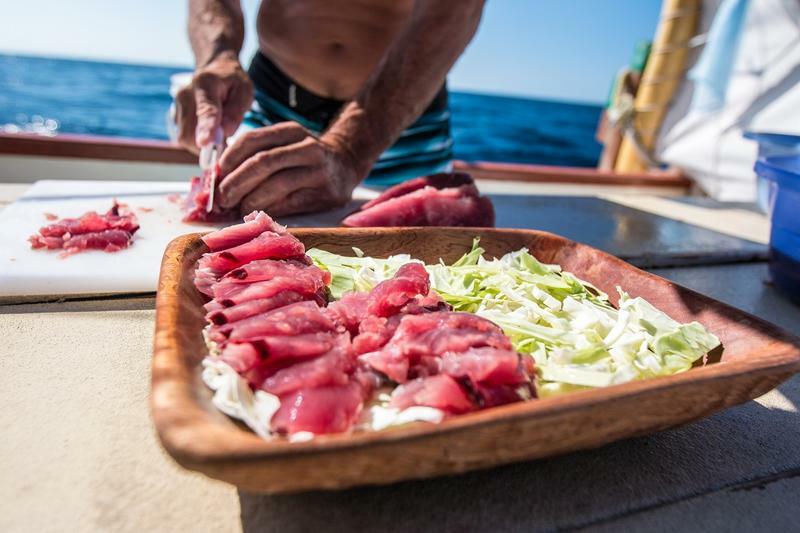 He captained the Hōkūleʻa as it pulled into Pōkaʻi – something he jokingly admits he never imagined doing before before joining the voyaging community. Wai'anae's Kaina Nakanealoha (left) is a part of a new generation of Hawaiian voyagers. Kaina captained the Hokule'a as it pulled into Poka'i Bay, where he was welcomed by his community. “I only seen Hōkūleʻa on TV or on magazines. I thought you had to be related to Kamehameha or Nainoa Thompson or something to get on board these vessels,” says Nakanealoha. The Waiʻanae native joined the voyaging ʻohana in 2001, and recently trained under master navigators like Thompson on Hōkūleʻaʻs trip around the world. And when it was time to bring Hōkūleʻa back to Waiʻanae, Thompson knew Nakanealoha was ready to lead. 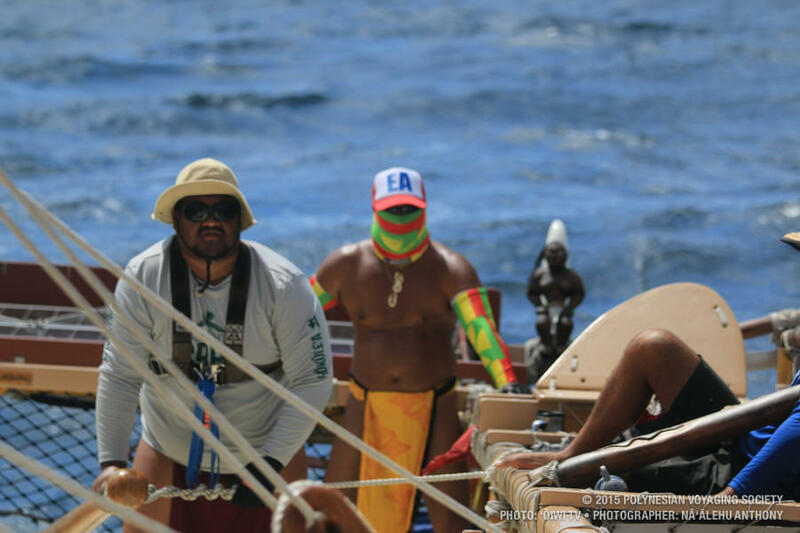 33-year-old Kaina Nakanealoha (front) steers the Hokule'a on the worldwide voyage from Bali to Mauritius. 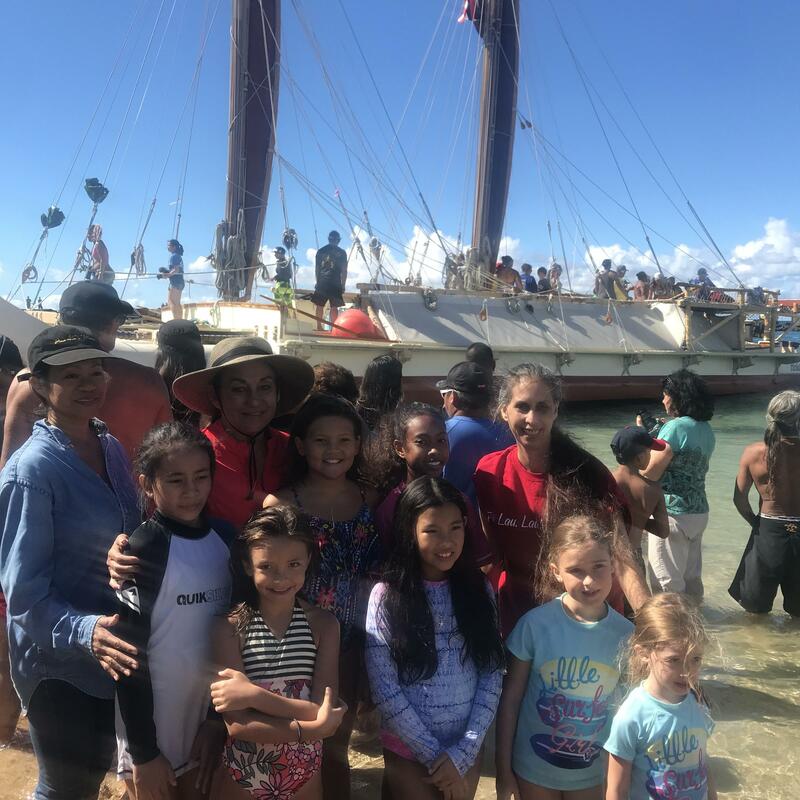 Dozens of community members from up and down the Leeward Coast prepared food, made lei, memorized chants and practiced hula – all to ensure a proper welcoming of the voyaging canoe and its crew members. Here’s Kapoi. Wai'anae welcomed Hokule'a with lei, chants, hula, and food. 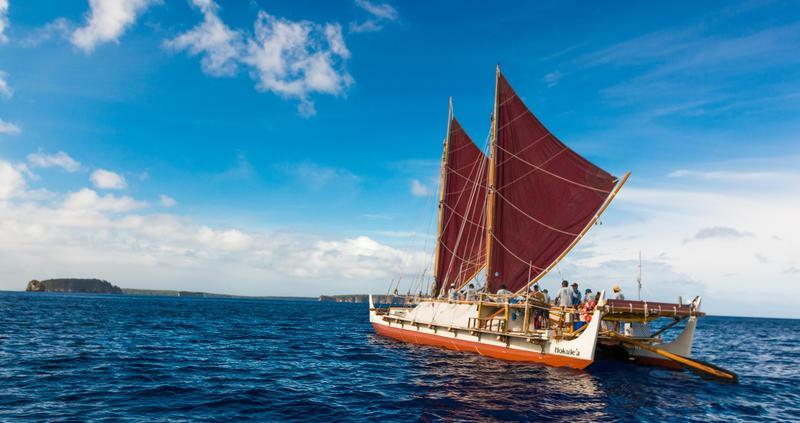 The scene was reminiscent of Hōkūleʻa’s maiden voyage from Hawai’i to Tahiti more than 40 years ago, says Vicky Holt-Takamine. 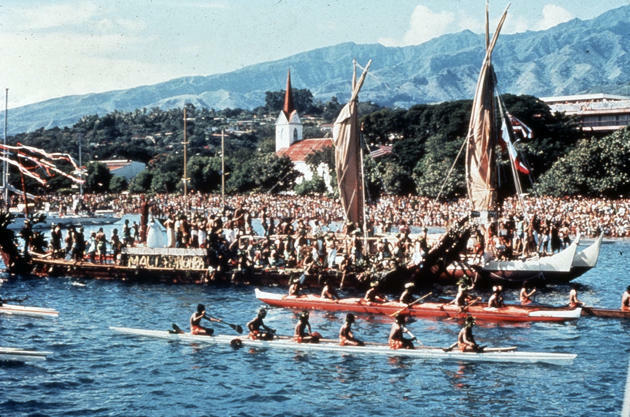 The arrival of Hokule'a at Pape'ete, Tahiti in 1976. The maiden voyage is often credited with sparking the Hawaiian Renaissance - a reawakening of native Hawaiian identity, traditions, and cultural practices. Kumu Hula Vicky Holt-Takamine (in red with hat) poses with hula dancers from her hula troop, Halau Pua Ali'i 'Ilima. Hokule'a in the background. 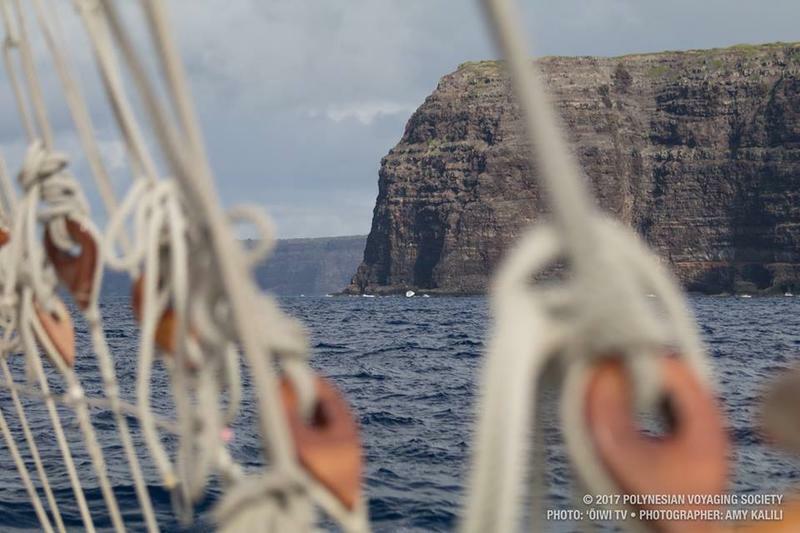 The Mālama Honua Worldwide Voyage has given up and coming voyagers like Nakanelua a strengthened sense of purpose. He’s become a role model for future generations in his community. 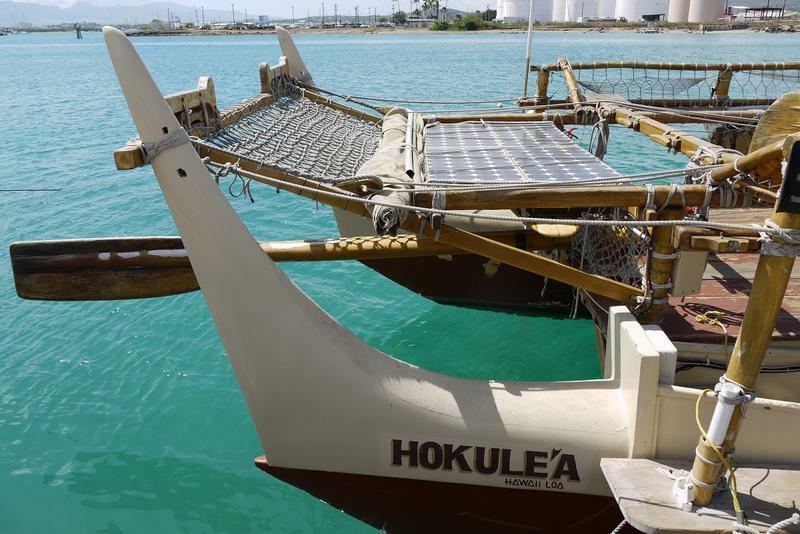 Hōkūleʻa will remain in Waiʻanae for the next two weeks with a host of activities planned for the community.